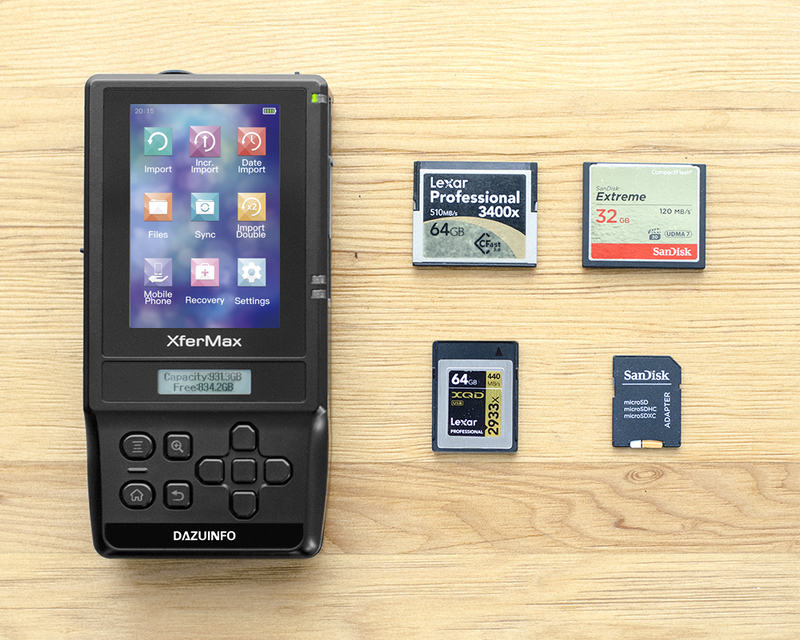 XferMax X8 is a portable backup device that provide fastest way to backup valuable photo or film on-site. It built-in XQD/CFast/SDXC card slot, backup without laptop. XferMax x8 can also preview backed up photo, allowing you to check the quality of photo immediately. XQD、SD、CFast2.0 (alternative model with CF) slots are built-in, easy to backup data from varies kind of memory card without card readers. Please check specific model for detail. Up to 140MB/s per second, taking about 15 minutes to backup 128GB memory card. It weights about 300 grams and palm-size, suitable for trip, shot or adventure. 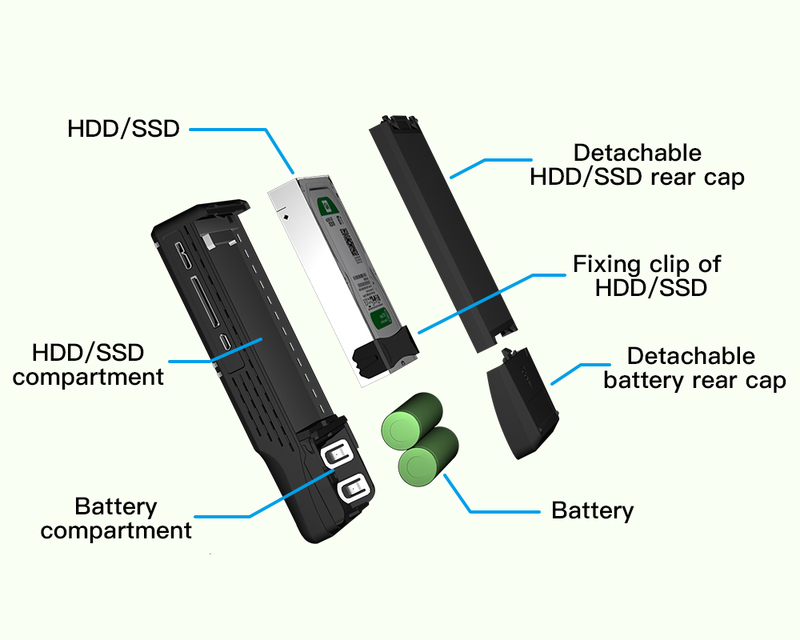 Without any tools, easy to change the HDD or SSD, meeting demand of large storage. Easy to install or uninstall battery, support long time of operation.